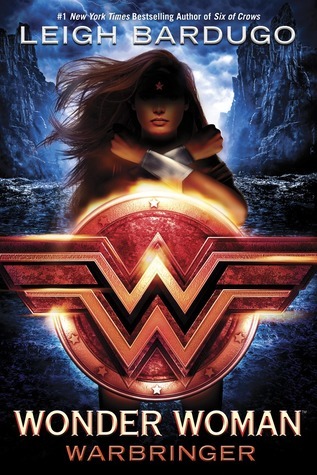 Wonder Woman: Warbringer by Leigh Bardugo is the first of the DC Icons series. 1. DC Icons is a genius move by DC. It is a series written by different best-selling YA novelist, and they kick it off with a bang with Leigh Bardugo doing Wonder Woman. I love Bardugo's writing, and I love what she has done for Wonder Woman. It is amazing how she takes a well established character and makes it her own, and still keeps with her true to the ideas from the comics. I really adore what she has done with how Amazons are created and the legend of Helen of Troy. 2. I adore the fact that Bardugo made this story more focused on friendship and sisterhood between the characters. Yes, there were some romantic undertones at times, but that was not the focus of the story. I really enjoyed watching Diana and Alia build a friendship. 3. Speaking of Diana and Alia, I love that they are both strong female characters. Diana in both the traditional sense of the word and she also has a strong heart. Her determination to both save Alia and the world is amazing. The Alias is super smart, loyal, and brave. She wants to do what it takes to prevent the wars she would cause as the Warbringer. The courage it takes her to face this, and accepted it makes her more amazing than Diana in many ways. 4. Holy Cow! The twist that Bardugo throws at the end was amazing and I so did not see that coming. Made me love the story even more. I am excited to see where the other authors take the next stories in this universe.